Rhinestone studded bone with easy to use lobster clasp. Charm measures about 3/4 inch across. 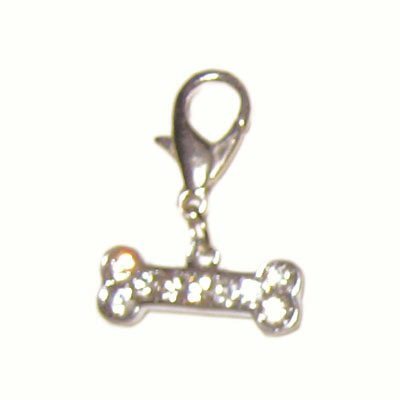 Each order consist a pack of five charms.